As soon as you come across grey hair, the first thing that comes to your mind is that age is catching upon you. But hold your thought there, as that might not be the only reason. There are many factors which contribute to grey hair such as hereditary, stress, hormones, pollution, vitamin or nutrient deficiency, climate etc. To deal with all this is definitely a tough job. The easy option available around to cover grey hair is coloring. But when you have so many natural remedies, do you prefer going for coloring which involves many chemicals? 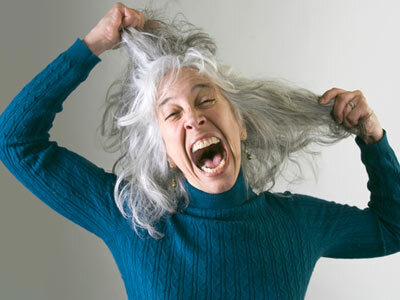 If the answer is no, then lets go through the home remedies to reduce grey hair problems. Increase the protein intake in your day-to-day diet. Meat, eggs, whole grains, cereals etc. help to improve your hair growth by reducing grey hair problems. Foods rich in vitamins and minerals should be consumed. Nuts, green leafy vegetables like cauliflower, spinach, cabbage etc. should be included in your daily diet. Indian Gooseberry is the best remedy for grey hair problem. Boil the Indian Gooseberry in coconut oil and let it stay whole night. Apply this the next morning to your hair as a part of the grey hair treatment. Curry leaves should be consumed in large quantities in your meal as it helps in the growth of hair from the root. You can also boil the coconut oil by adding curry leaves and apply it to the hair once cooled. Wash it after 2 hours and you can see a lot of improvement. Mix the henna powder with yogurt, fenugreek seeds and lemon. Apply it to hair for 2-3 hours and wash your hair with a conditioner. Massage your hair with coconut oil and almond oil atleast three times a week. Make black tea with a teaspoon of salt and without milk. Apply this to hair and massage it well. This reduces grey hair problem to a large extent. These are the few home remedies which will help you say goodbye to your grey hair problems. What are the remedies you know for grey hair problems? Do share with us!